Already 18 months into the project, FAIRWAY has completed a number of milestones and deliverables and we have had our first scientific review. Where our research interests are complementary, collaboration with the WaterProtect project is continuing. Our first all-FAIRWAY paper has been published. 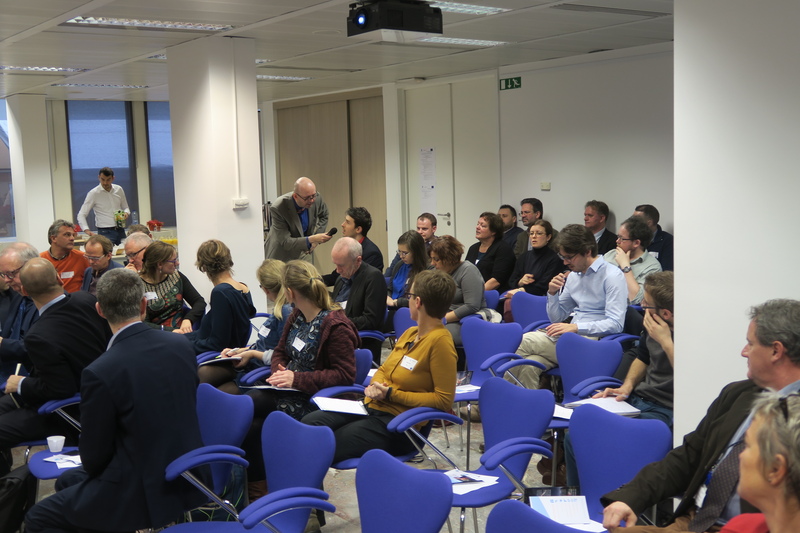 FAIRWAY and WaterProtect projects joined forces to 7 December 2018, and held a policy conference in Brussels. The conference took place against the background of ongoing European dialogue about the sustainability of the farming sector marked by discussions on the new EU multi-annual financing framework and the role, scope and focus of the Common Agricultural Policy. At the same time discussions are also being conducted on the review of several water-related policy instruments and the adoption of new frameworks. 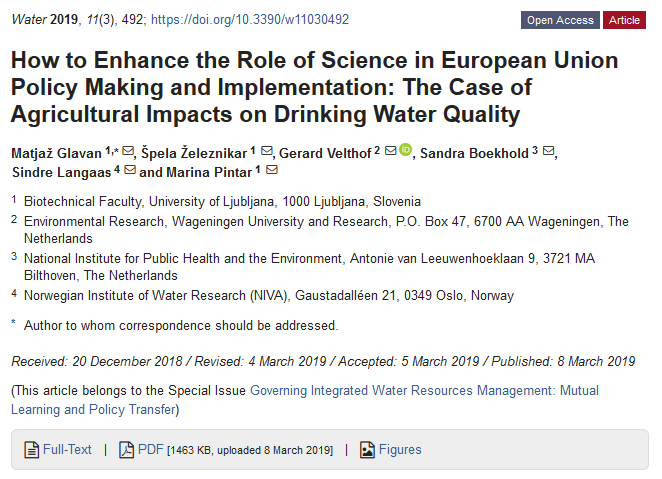 The objective of our conference was to seek the perspectives of stakeholders on the pathways for integration and building synergies within EU agricultural and environmental policies that effectively address challenges of nitrate and pesticide pollution of drinking water resources. Water and agriculture stakeholders are all keen and ready to engage in developing and deploying solutions for better water management. Bottom-up initiatives driven by the agricultural input providers (i.e. fertilisers, pesticides) already exist to stimulate adoption of best management practices, but there is also a call for more training of farmers for implementation. Smart farming is an area where further solutions can be developed. The new CAP implementation mechanism, through the National Strategic Plans, is an opportunity to promote tailor-made solutions to the water management challenges at national, regional and local level. It is important for the farming community that monitoring of the status of the water resources recognises the progress that was made to incentivise farmers to further take additional measures. Water industry stakeholders are calling for a long-term approach for the management of water resources since pollution impact can be felt for decades. Good examples of cooperation between farmers and the water industry already exist throughout Europe, their results should be disseminated. EU policies are evolving to take into account the new realities of the interactions between water and agriculture and they provide new opportunities and tools for action. The conference is being followed up by a survey of those who were unable to attend in December so that they can also provide their input to the discussion. 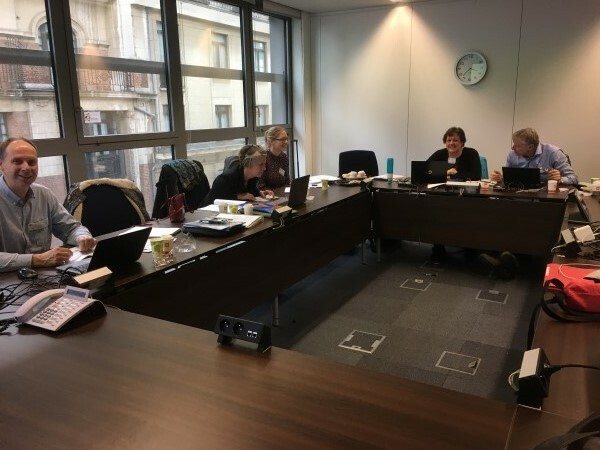 Following the submission of our first 18 month report, WP leaders met with our Project Officer Lara Congiu and reviewers Frédéric Jacob and Vania Paccagnan in Brussels on 13 February 2019. We were grateful to the reviewers for the care with which they reviewed our work so far and for their thoughts and recommendations on how we should approach the rest of the programme. We are currently awaiting their final report. We are delighted to announce the first all-FAIRWAY publication written by members of the WP7 team. If you haven't already done so - please follow us on Facebook and Twitter.